A musician who plays either the piano/guitar/ukulele to accompany the singing. Token prizes for the winners: small bag of marshmallows or chips, chocolate, diabetic treats, sodas. 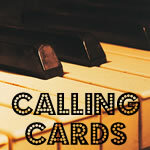 Download song cards and calling cards examples. 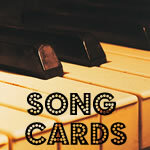 Type as many 'song cards' as you want with songs of your choice as per examples; six songs on each page. Then print and laminate them. By choosing your own songs you can pick exactly what your clients are used to singing and enjoy to sing. Type 'calling cards' with the chosen songs; then laminate and cut them out. Place calling cards inside a secure box or tin with a well fitted lid. Make song covers (six for each participant) using cardboard or egg cartons; rule and cut rectangles 6 ½ inches long by 1 inch wide or (16 cm by 2 cm). Ask residents to paint song covers in colours of their choosing. Give each resident a song card and six song covers. The Activity Officer pulls a calling card from the box and reads it out loud for all to hear. Note: Lyrics are not required; participants should sing a short melody from the song: just what they can remember, accompanied by the musician. Another card is called and so on. Every time someone says 'Bingo!' a small token prize is given to the winner. The sing-along aspect of the game is very important. It adds another dimension to the game. Observe alertness and engagement of participants and report in Progress Notes or equivalent. Tip: If you work in a culturally diverse facility it would be advisable to choose some songs your residents can identify with such as 'Volare', 'Santa Lucia', 'Amapola', 'Hava-Nagila' and, 'Never on Sundays' or any other famous international songs we all know. The lyrics may not be known but everybody can hum along. Believe me, it is a lot of fun humming or la-la-la-ing along to 'Hava-Nagila'! Free app that makes the bingo cards for you with songs that apply. I'm a bit green on this app thing. Can you help me? This is a great idea. I've used this and created my own bingo cards with songs that we sing using a free app that makes the bingo cards for you so that its relevant to my group. Hi, this site is new for me and is a super wonderful resource. We adapted this musical bingo to musical tic tac toe, though for the dementia residents, it was a bit of a challenge (though I thought it would be easy). We used songs as He's Got the Whole World, Daisy, Daisy, Clementine, and other familiar "folk" songs - it was great to see the expressions as we sang each song when the title was called. Tic tac toe, what a great adaptation! Thanks for your feedback Sally! 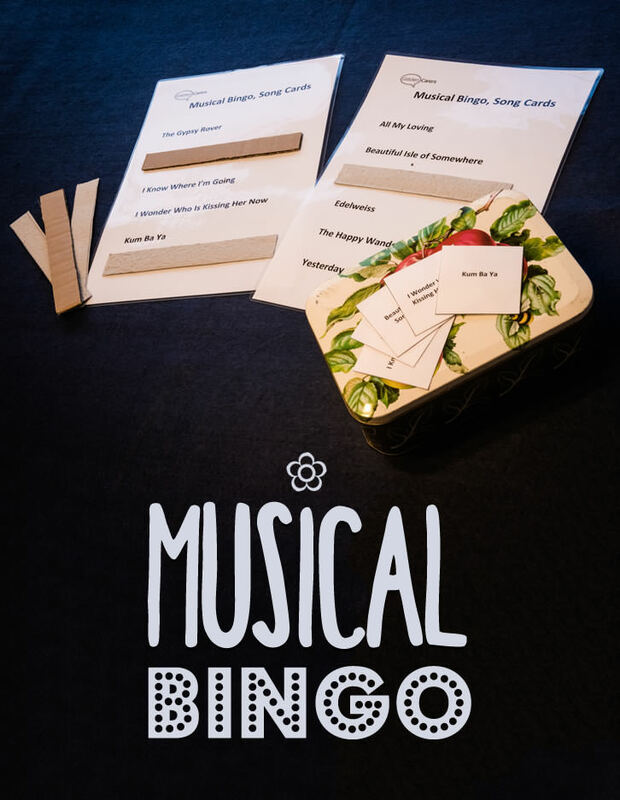 I didn't know how to play musical bingo and was interested in making and using with my residents. Thank you very much for sharing this! Thanks for your feedback Millie! I have great success with this activity for intergenerational programs. In December we have a version that includes classic holiday carols such as Oh Come All Ye Faithful, and more spirited songs like Rudolph the Red Nosed Reindeer. As a Music Therapist myself, I play the piano, providing me the ability to decide what song I play next based on the mood/tone of the group, If the children are getting a little rambunctious after singing about Frosty, we tone it down to some more traditional carols that they need to ask the resident's about. I love to develop themed music bingo cards, one of our favorites is using the melodies from beloved TV shows. Hi Shelley, this sounds wonderful. How lucky your clients are to have a pianist in their midst! Great idea to involve children in this activity! Thank you for more ideas! Always much appreciated! Other games I have from here are very well accepted & enjoyed immensely! We've created a slightly different version of this game with the Bingo Cards having pictures on them (some of our clients are quite vision impaired and can see plain black and white pictures better than words) Each picture reflects a song ie rainbow=Somewhere Over the Rainbow, Soldier=War songs. We haven't tried it yet but I'm sure it will be popular. 'Musical Quiz on CD' available from Wisdom Activities. The residents really enjoy this and we usually take an hour before someone has the whole card filled. The idea is to have a full house as it were. We usually end up singing some of the songs as well. This is very interesting I shall try this with our residents for something very different. thank you very much.